For any visitor or local looking to have some memorable time in Utah, Thanksgiving Point is a venue you will not want to miss. 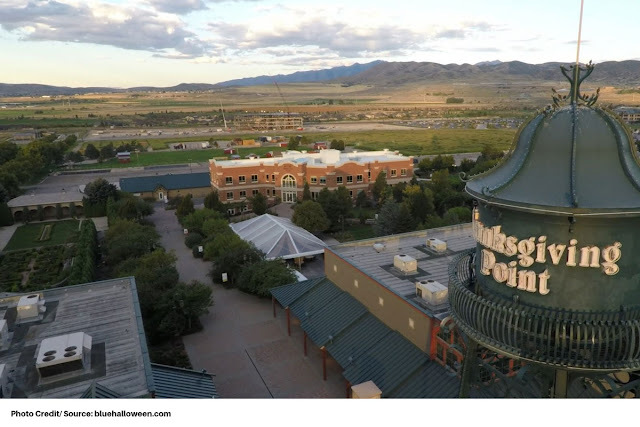 Founded by Alan and his wife Karen in 1995, Thanksgiving Point was meant to express gratitude by giving back to the community. Today, it is a nonprofit farm, garden, and museum complex located in Lehi, Utah. Its numerous venues make it a perfect place for making memories with your family, friends, or even business associates. 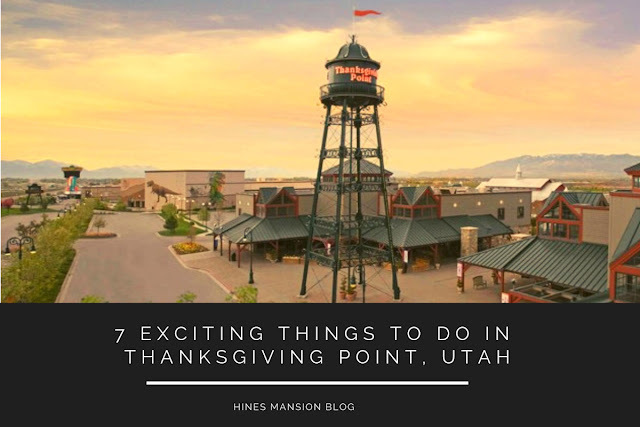 If you are looking forward to a planned trip to Thanksgiving Point, make sure to explore these 7 exciting activities available here. The Ashton Gardens cover approximately 55 acres and includes 15 themed gardens. So, when you hear of an oasis in the desert, it is by no chance overrated. 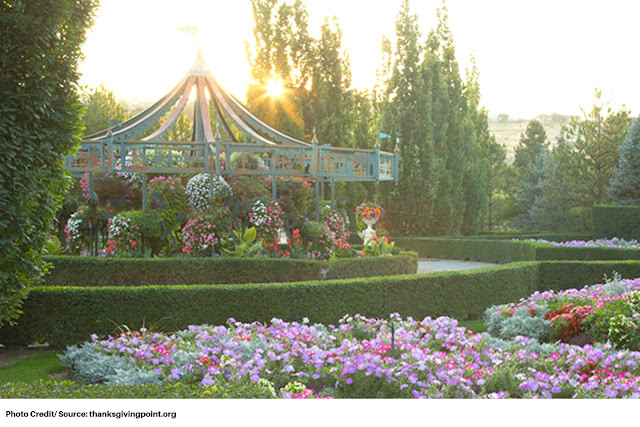 Planned by Salt Lake City architect Leonard Grassli, Ashton Gardens feature several themed garden rooms including Rocky Mountain Landscapes, a Monet Pond, and a rose garden growing over 60 different varieties. Rejuvenate yourself as you get to enjoy the stately gardens, grand lawns, and the sight of the largest manmade waterfall in the Western Hemisphere. 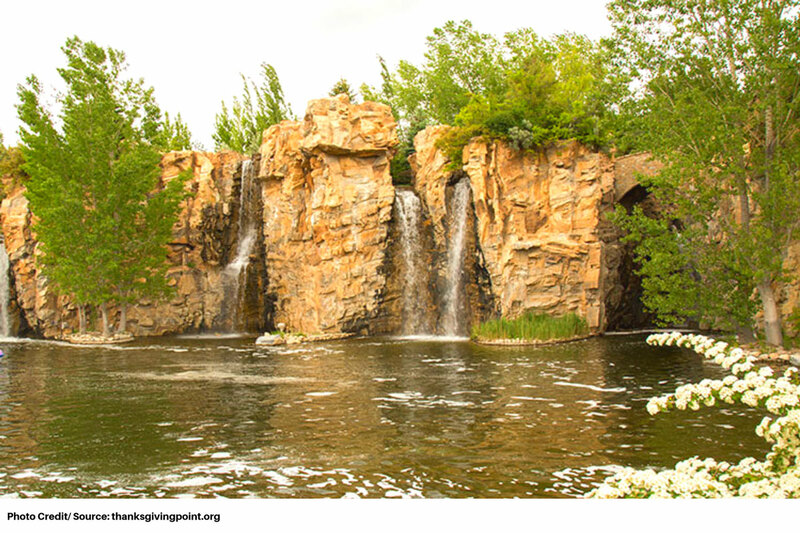 A stroll through the 15 themed gardens will take you past the cascading fountains in the Italian Gardens, to the Koi View Pier where you can choose to feed the fish and the Vista Garden from where you can enjoy a stunning bird’s view – just to name a few. In between strolls, you can choose to make a stop at the Trellis Café best known for its artful stunning array of sandwiches. If you enjoy shopping, you can shop for snacks and souvenirs at the shop located in the Gardens' Visitor Center. You can rent golf carts to cover more ground during your visit. But whichever means you chose to explore with, the stunning beauty is still inexhaustible. Once at Thanksgiving Point, you will have access to the Brick Canvas studios which offers a variety of services and treatments meant to help you feel your very best. Among their exclusive services are an organic spa, Bikram yoga, a nutritious café, a salon, and world-class fitness services tailored to help you get the best out of fitness training. For the animal lovers, Thanksgiving Point offers you an opportunity to meet your favorite farm animals such as horses, goats, cows, chickens, pigs, and sheep at the Farm Country. If lucky enough, you might meet some other uncommon animals like llamas, peacocks, and alpacas. You also get a first-hand opportunity to understand the operations of the farm, including chicks in the incubation station and bunnies in the rabbit hutch. Better for you if your trip is scheduled during April as you will get a chance to see the newest farm animals make their debuts in the spring. This venue is specifically best for kids to explore as they get to see what it is like to be a farmer through practical life experiences. Besides feeding and petting the animals, you will enjoy a variety of other farm activities such as wagon rides, pony rides, and cow milking. Just as the name suggests, the Museum of Ancient Life at Thanksgiving Point exhibits some of the world’s oldest and largest collection of mounted fossils. After its opening in the year 2000, a group of Utah’s paleontologists came up with the idea of assembling the exhibits of the museum with an aim of taking collections out of cases, and putting them into an immersive environment. At the Museum of Ancient Life, you will get the chance to view one of the world’s largest display of mounted dinosaurs – along with other 50+ hands-on exhibits. Don’t forget to check out the working paleontology lab where you will get a chance to view more interesting exhibits. There’s also a large movie screen auditorium known as the ‘Mammoth Screen 3D Theater’ which shows science films relating to the museum exhibition during museum hours. Known as the Butterfly Biosphere, this venue is located at the Water Tower Plaza at Thanksgiving Point and leaves you with an experience like no other. Its 40,000 square foot space is home to over a thousand different butterflies from all over the globe. In addition to the different butterfly species, visitors get to enjoy the view of 20 different species of tarantulas, fist-sized beetles, and other creepy-crawly organisms. However, the Butterfly Biosphere is a time-ticketed attraction venue. It is, therefore, important that you secure your tickets in advance to ensure admission. With its 400+ different interactive experiences, you can choose a new adventure each and every time you visit the Museum of Natural Curiosity. Adults pay $24.95 and children $19.95 for a single day, but considering that the daily activities are inexhaustible, the venue is totally worth your cash and time. If you have kids, make sure to tag them along as this venue has numerous activities that will forever stick in your loved ones’ hearts. Crawl inside a 45-foot tall mountain head, explore ancient ruins and chambers in the rain forest, explore the town of Kidopolis and discover secret passages – the list is just endless! Experience of how it feels to swing a golf club on the grounds of the largest golf course in the entire state. 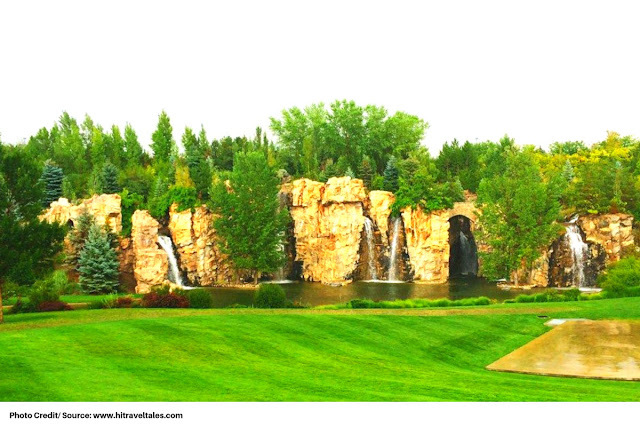 Thanksgiving Point Golf Club has a beautiful 22,000 sq. foot clubhouse with a spectacular 18-hole layout with over 55 acres of sand and 10,000 trees. Its championship-caliber course is 7,716 yards long and stretches over more than 200 acres. In a span of fewer than 5 years, this golf course has already received numerous awards and accolades from the golfing industry. 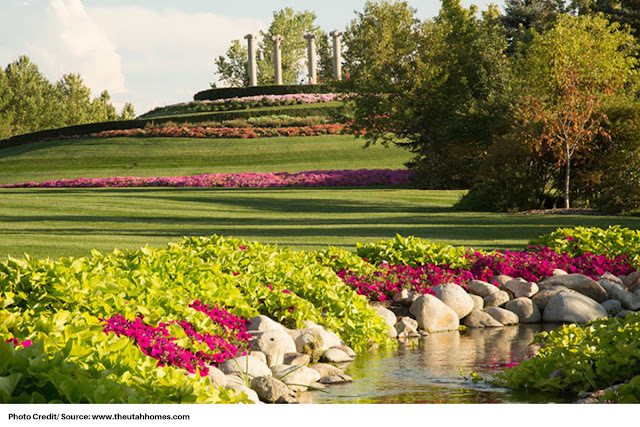 Also referred to as a Johnny Miller Signature Golf Club, it cradles the most spectacular gardens in Utah, creatively using the natural mountain landscape to enhance your golfing experience. These activities are just a small mention of the must-do activities you should try on your planned trip to Thanksgiving Point. The numerous activities at this spot make it an all-ages destination. So, regardless of your tastes and preferences, you can be guaranteed of activities that will spark your interest.